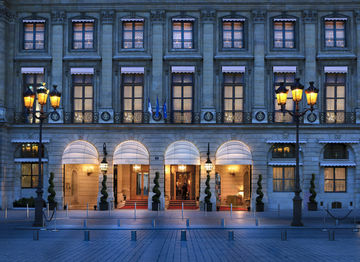 The hotel is located in the heart of the most prestigious area of Paris: the Place Vendome. 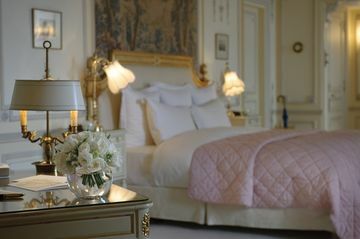 Nestled in the middle of the most luxurious jewellery and fashion designer boutiques, it is only a few minutes walk from the Opera House, the main department stores, the Louvre Museum, the Tuileries and the Place de la Concorde. 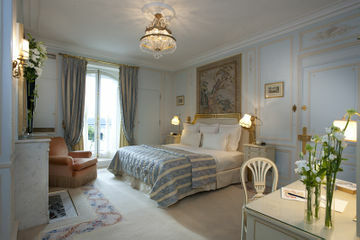 The rooms and the bathrooms are medium to large in size and in excellent condition. 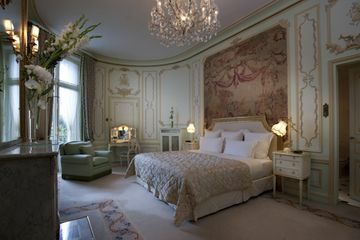 Each of them has been decorated in its own style with luxurious furniture and fine fabrics. 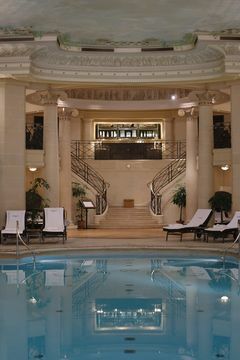 Hotel clients are provided by the well-known brand "La Prairie" beauty products. 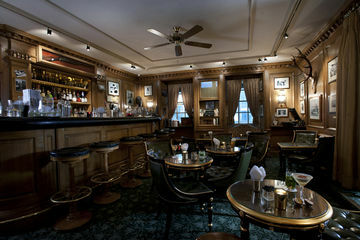 Personal fax on request. 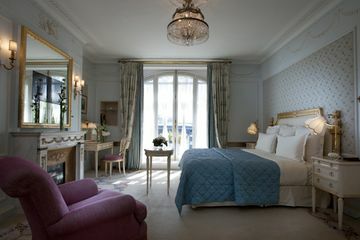 Rooms equipped with I Pod Station and Bose System. 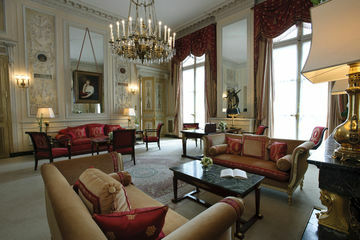 This is a landmark property, elegant and steeped in history. 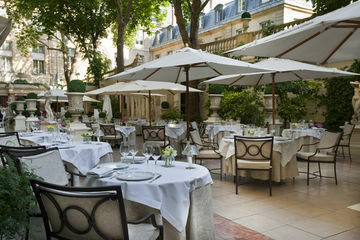 From fine dining and wining in the gourmet restaurant L'Espadon (2 Michelin stars), brunch and afternoon tea in the garden terrace or in the Ritz Bar, sipping cocktails or relaxing in one of the three bars, for private functions in one of the many private salons to a healthier option at the health Club... 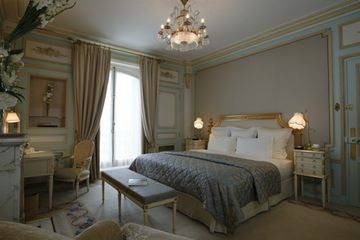 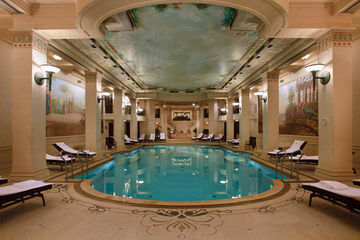 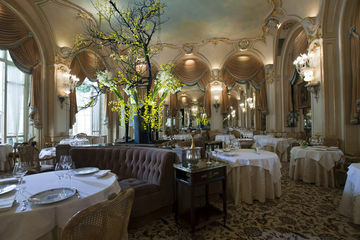 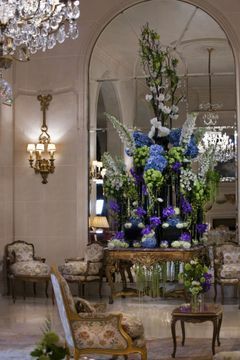 The hotel offers it all with "luxury, discretion, perfection", the motto of the Ritz Hotel. 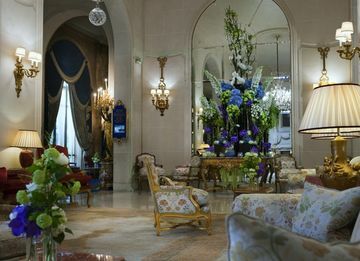 The lobby offers elegance and splendour, with high ceilings, huge chandeliers and exceptional antique paintings and furnishings.